Other societies, associations, and museums around the world broaden our resources and allow scholars to share information. The organizations listed below are just a few of those which may be of interest to our members. The descriptions are drawn from their websites, where more complete information can be found. SHARP is already affiliated with a number of these organizations, and also seeks to extend its network. We look forward to hearing from organizations and societies that are interested in collaboration. Please contact us if you would like to see your organization listed here. American Antiquarian Society. An independent research library whose collections document the life of America’s people from the colonial era through the Civil War and Reconstruction. American Printing History Association. Encourages the study of printing history and its related arts and skills, including calligraphy, typefounding, typography, papermaking, bookbinding, illustration, and publishing. APHA is especially, but by no means exclusively, interested in American printing history. American Society for Eighteenth Century Studies. An interdisciplinary group dedicated to the advancement of scholarship in all aspects of the period, from the later seventeenth through the early nineteenth century. aaDH: Australaisan Association of Digital Historians. The professional association acts to support and extend links between digital humanities researchers, improve professional development opportunities and provide international leverage for local projects and initiatives. Book History and Print Culture Network. Established in 2013, an interdisciplinary group of German-language scholars. The network’s blog is its central feature, offering insight into German-language book history research. The blog is in English to make this research accessible and visible to scholars worldwide. Book History Research Network (formerly the Book History Postgraduate Network). Established in 1998 by the former Book Trade History Group in co-operation with the Institute for English Studies at the School of Advanced Study at the University of London. Aims to bring together book history researchers through Study Days, conferences and email contact, and create a register of researchers. Canadian Association for the Study of Book Culture/L’Association canadienne pour l’étude de l’histoire du livre. Brings together those residents of Canada who are interested in the study of written communication (in its various forms and processes) and encourages the interdisciplinary study and teaching of those subjects. A monthly newsletter and a listserv are available. Center for the Book, Library of Congress. Using the resources of the Library of Congress, its mission is to stimulate interest in books and reading, including literacy and library promotion and encouraging the historical study of books, reading, and the printed word. College Book Art Association. Committed to the teaching of book arts at the college and university level, while supporting such education at all levels, concerned with both the practice and the analysis of the medium. Dictionary Society of North America. With more than 400 members in 40 countries, the Society brings together people interested in dictionary making, study, collection, and use. Early Book Society. Formed to bring together all those who are interested in any aspect of the study of manuscripts and early printed books. European Society for Textual Scholarship. Provides an international and interdisciplinary forum for the theory and practice of textual scholarship in Europe. Hibolire: The Nordic-Baltic-Russian Network on the History of Books, Libraries and Reading. A network of scholars in the fields of book history, history of libraries and history of reading. Internationale Buchwissenschaftliche Gesellschaft. A (mainly) German-language scholarly society for Book Studies; publishes the journal KODEX (Harrassowitz). International Society for the Empirical Study of Literature and Media. Aimed at the advancement of empirical literary research through international and interdisciplinary cooperation. Library and Information History Group (Great Britain). One of the oldest special interest groups of the Chartered Institute for Library and Information Professionals and the only group in the UK specifically devoted to the history of libraries and librarianship. Printing Historical Society, London. Fosters interest in the history of printing and encourages both the study and the preservation of printing machinery, records, and equipment of historical value. Reception Study Society. Seeks to promote informal and formal exchanges between scholars in several related fields. Bringing together theorists, scholars, and teachers from many areas, this association promotes a much needed cross-dialogue among all areas of reception studies. Society for Book Research in Austria. Promotes in-depth research on the book trade in Austria and co-ordinates study in the field, keeping a running bibliography of new publications and points to deficits in book history scholarship. Society for Textual Scholarship. An international organization of scholars working in textual studies, editing and editorial theory, electronic textualities, and issues of textual culture across a wide variety of disciplines. Washington Area Group for Print Culture Studies (WAGPCS). Aims to provide a regular, monthly forum during the academic year for those interested in book history and print culture studies and welcomes the participation of everyone interested in print culture (of any period or place). William Morris Society. Aims to make the life and work of Morris and his associates better known. Asociación Española de Bibliografía (Spanish Bibliographical Association) Encourages the study of the history of the book, bibliography, and national bibliographical production. Bibliographical Society (Great Britain). Founded in 1892, the Bibliographical Society is the senior learned society dealing with the study of the book and its history. The Society aims to promote and encourage study and research in the fields of historical, analytical, descriptive and textual bibliography and the history of printing, publishing, bookselling, bookbinding and collecting; to hold meetings at which papers are read and discussed; to print and publish a journal and books concerned with bibliography; to maintain a bibliographical library; and to support bibliographical research by awarding grants and bursaries. Bibliographical Society of America. The oldest scholarly society in North America dedicated to the study of books and manuscripts as physical objects. Bibliographical Society of Canada. Its goal is the scholarly study of the history, description, and transmission of texts in all media and formats, with a primary emphasis on Canada. Bibliographical Society of Australia and New Zealand. Focuses on all the studies related to physical bibliography: the history of printing, publishing, bookselling, typefounding, papermaking, bookbinding; paleography and codicology; and textual bibliography. Oxford Bibliographical Society. Encourages bibliographical research. Bibliographical Society, University of Virginia. Promotes interest in books and manuscripts, maps, printing, the graphic arts, and bibliography and textual criticism. Edinburgh Bibliographical Society. Encourages study in the fields of bibliography, the book trade, the history of scholarship and libraries, and book collecting, particularly as they relate to Scottish interests. American Historical Print Collectors Society. Encourages the collection, preservation, study, and exhibition of original historical American prints that are 100 or more years old. The Book Club of California. An organization of people who take pleasure in fine printing related to the history and literature of California and the western states. Helps further the interests of book collectors and scholars, and promote an understanding and appreciation of fine books. The Caxton Club. A diversified group of authors, binders, collectors, conservators, dealers, designers, editors, librarians, publishers, scholars, and other interested individuals who share a love of books. Ephemera Society of America. Formed in 1980 to cultivate and encourage interest in ephemera and the history identified with it. Gesellschaft der Bibliophilen. German book collecting society; publishes the journal “Imprimatur. Jahrbuch für Bücherfreunde” (Harrassowitz) bi-annually. The Grolier Club. America’s oldest and largest society for bibliophiles and enthusiasts in the graphic arts. American Journalism Historians Association. Fosters research and teaching of journalism history and to provide a forum and to be a resource, encompassing a wide range of mass communication studies. Research Society for American Periodicals. An interdisciplinary organization of scholars interested in American magazines and newspapers. Research Society for Victorian Periodicals (RSVP). Dedicated to the study of the world’s first mechanized “mass” press–newspapers, magazines, and other serial publications–in 19th-century Britain and its Empire. Association of European Printing Museums. A Printing Heritage Network. A roof organization for European printing museums. Links to several larger and smaller printing, paper, and writing museums. Basel Paper Mill. The Swiss Museum for Paper, Writing, and Printing. Located in a historical paper mill, this working museum has exhibits on the history of printing, papermaking, writing and more. Dutch Museum of the Book (Museum Meermanno) catalogue. The museum’s collections include: books, coins and medals, letters, and manuscripts dealing with book design, bookplates and small prints. The catalogue is searchable online. German Newspaper Museum. Exhibits about the history of printing (newspapers) and papermaking. Gutenberg-Museum Mainz. Home to several Gutenberg-Bibles; located in downtown Mainz, where Gutenberg first printed his B42. Melbourne Museum of Printing. Australia’s working and teaching museum of typography and printing, specializing in retention of traditional printing, both the equipment and the knowledge. Musée de l’imprimerie de Lyon. The biggest printing museum in France, founded in 1964. The National Print Museum of Ireland. Collects, documents, preserves, exhibits, interprets and makes accessible the material evidence of printing craft and fosters associated skills of the craft in Ireland. 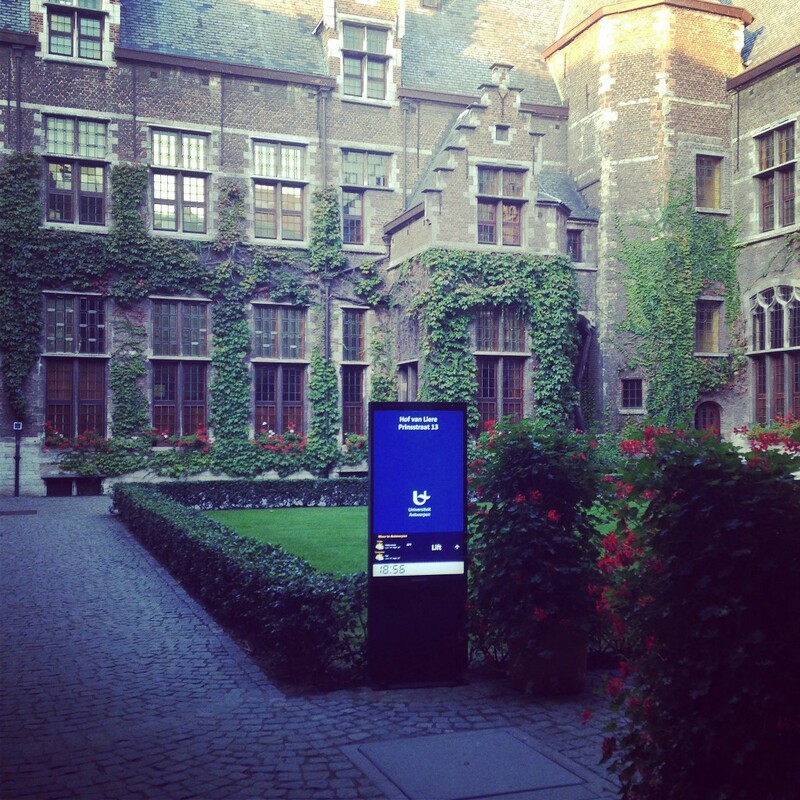 Plantin-Moretus Museum, Antwerp. UNESCO Cultural Heritage Site. Printing Museum, Tokyo. Its primary objective is to explain the value and potential of printing as a form of communications media, and deepen the general public’s understanding and interest in printing. Robert C. Williams Paper Museum. A resource on the history of paper and paper technology. Association for the Recording and Reconstruction of Historical Bookbindings. (German language) Aims to foster cooperation among persons and institutions conducting research or collecting historical or artistic book covers. International Association of Paper Historians. Facilitates communication between paper historians, archivists, librarians, conservators, art historians, specialists in books, printing and technology, associations of the paper and publishing industries, and handicrafts and art dealing with paper. Briar Press: A Letterpress Community. A community of printers and artists dedicated to the preservation of letterpress. Historic Libraries Forum (UK). Assists libraries in historical settings. IFLA Library History Special Interest Group. Part of the international body representing the interests of library and information services and their users, this group concentrates on themes of library history, and experience of general significance, and theoretical foundations of the field. Library History Roundtable. Part of the ALA, to encourage research and publication on library history and promote awareness and discussion of historical issues in librarianship. Rare Books and Manuscripts (RBMS), a section of Association of College and Research Libraries, a division of the American Library Association. RBMS strives to represent and promote the interests of librarians who work with rare books, manuscripts, and other types of special collections.